On September 17 Fiji held its first election since Voreqe “Frank” Bainimarama seized power in a 2006 coup. With his Fiji First party receiving 59.2% of the vote, Bainimarama will remain in power. Aman Ravindra-Singh, a candidate for the Peoples Democratic Party took so social media in the following days to declare “It is business as usual with the same old crooks this time they are in suits”. This soundbyte oversimplifies the history of Fiji. As a British colony, indentured servants were brought from India to work on sugar plantations, and in time equaled the indigenous population in number. The divide-and-rule system implemented by the British persisted following independence, with electorates for ethnic Fijians and electorates for Fijian Indians. Electorates were not based on population, meaning people in densely populated areas (more likely to be Fijian Indian) had less representation in parliament than the rural electorates, more likely to be populated by ethnic Fijians. 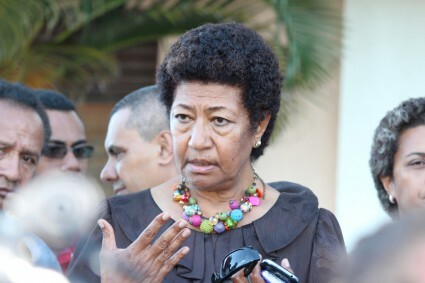 ‘Ethnic tensions’ does not tell the whole story, the coups in 1987 and 2000 were indeed led by men wanting to retain the political power of ethnic Fijians, but the governments they overthrew were led by the multi-ethnic Labour Party which had its base not in any one ethnic group but in Fiji’s working class, which had been instrumental in independence struggles with industrial action as a tactic, and has retaining its fighting spirit though the subsequent decades. The Bainimarama coup was different in that he promised to reform the electoral system to end the ethnic division. The election was held with electorates of equal size under ‘Open List’, a form of proportional representation similar to the MMP system used in New Zealand, but giving voters some control over the order of candidates on party lists. As in New Zealand, parties had to cross a 5% threshold, disadvantaging small parties and independents. During the eight years since the coup the Bainimarama regime attempted to crush the union movement, arresting organisers and strike leaders, and issuing decrees limiting the role of unions in political life. “The current Decrees deny workers their most fundamental rights which are part of human rights and attempt to decimate workers unions and all the gains that workers have made through decades of struggle,” wrote then Council of Trade Unions general secretary Felix Antony in February last year. Around the same time the FCTU ended its support for the Labour Party, which was seen at the time as becoming an Indian Party drawing most of its support from just one union. Support for the Labour Party has collapsed completely, from 39% of the vote in 2006 to just 2.6% this year. Unfortunately, the new party formed out of a mass meeting of union members, the Peoples Democratic Party, didn’t do much better gaining just 3.2% of the vote. Anthony, who had left his FCTU role to lead the new party (a government decree meant union office holders could not stand as candidates) resigned from the party leadership saying he takes full responsibility for the party’s poor performance. “The good governance organisations know too well that elections are far more than just the “casting and counting” of votes, especially in a Fiji where draconian military decrees and total media control have restricted and shaped public opinion over the last eight years. The struggle for democracy in Fiji is far from over.